Note: Up is no longer available on the App Store. 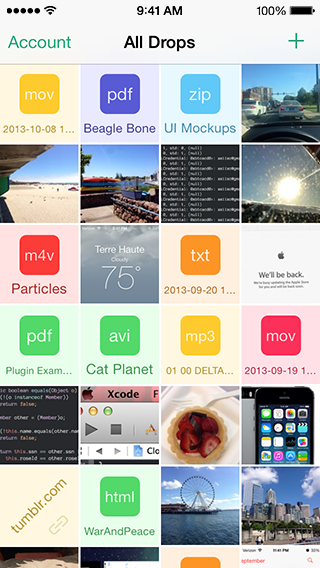 Up is a full-featured CloudApp client, beautifully designed for iOS 7. Upload photos, videos, and more; view and edit your drops, and manage your account, all from your iPhone, iPad, or iPod touch. 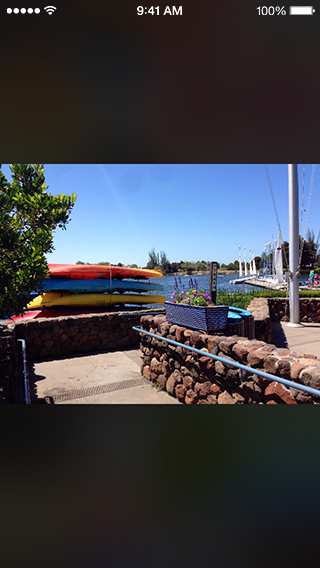 Upload saved photos and videos and copied images, links, and text. Tap and hold a drop to rename, share, or delete it. Accidentally delete or rename something? Just shake to undo. 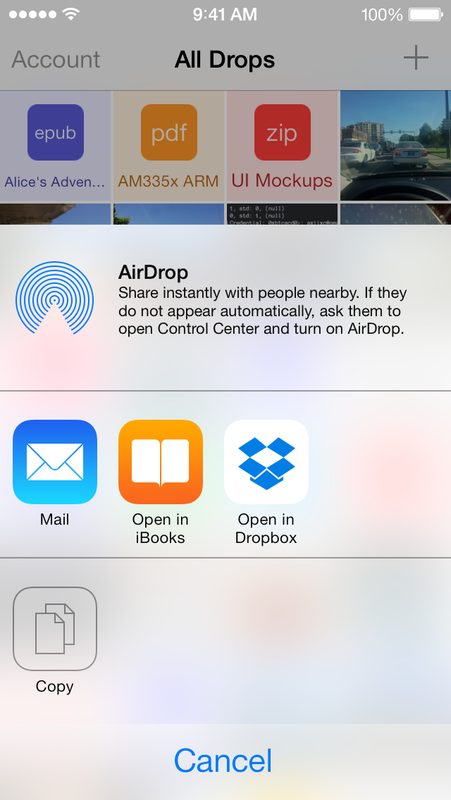 Open drops in other apps like Pages or iBooks, and easily upload from other apps that support "Open In...". 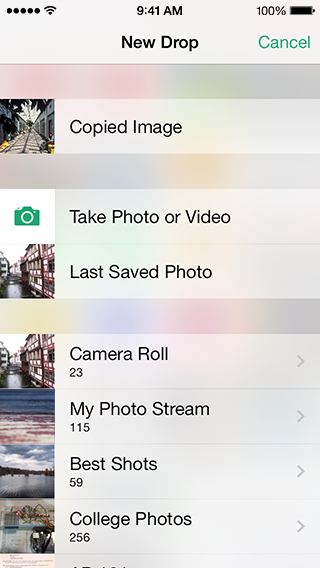 Upload faster, tap and hold the + button to instantly upload either your last saved photo or copied item. For intergration with other apps Up supports x-callback-url. Currently functionality is limited to selecting an existing file. Using this action users will be able to select an already uploaded file from their CloudApp account, or upload a new using Up's in-app upload options. Files cannot be sent to Up to process using x-callback-url, however Up does support uploading files using a UIDocumentInteractionController. x-success required to return user to your application. If a cancel callback is not specified then this callback will be used without any additional parameters. x-source displayed as a back button in the navigation bar. Standard iOS back button truncation rules apply, if your source is too long the UI will simply display "Back". x-cancel in the event the user cancels their selection, this callback will be used to return them to your app. types pass a comma-seperated list of types that you want the user to be allowed to choose from. Up will only display drops of the included types, and remove the + button from the UI. Valid types include those listed on the CloudApp API Documentation and additionally two custom values. Unknown values will be ignored. up-media include image, audio, and video drops. up-files include all drops except bookmarks. Assuming the user did not cancel the operation, Up will invoke your callback with the following result parameters. shareURL this is a URL appropriate for sharing with other people via services like Twitter and Text Messages. contentURL this is a direct URL to the content of the drop. name this is the user given name of the drop. It does not necessarily have to be a filename. type this is the type of the drop as reported by CloudApp. Possible values conform to those listed on the CloudApp API Documentation. Press-and-hold on a drop to show a new, and more informative, action sheet. On iPad, you can now swipe from the left or right of the screen to open the Account and New Upload views. Support for dynamic type in text drop previews. Added more feedback for errors. UI tweaks on iPhone and iPad. Added more feedback for network operations. Fix: Crash when renaming drop. Fix: Shake to Undo not enabled on iPad. Universal app. Use Up on any iOS device. Landscape orientation on all devices. Progress indicators when downloading content. Lots of small UI tweaks, and toned down graphics on older devices to improve performance. Animated background for sign in and upload screen (on supported devices). Fix: Sharing an empty or invalid drop now shows an appropriate error message. Fix: Audio drops would incorrectly display as unable to be previewed. Support for uploading files from other applications using "Open In...". Open drop content in other apps. Improved scrolling performance on all devices. Added more color! Images thumbnails now have colored backgrounds, instead of gray, while loading. 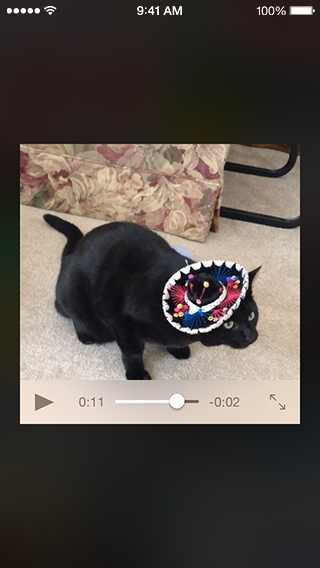 Fix: Videos captured using the in-app camera would not be uploaded. Fix: Copying animated GIFs would copy a non-animated version.